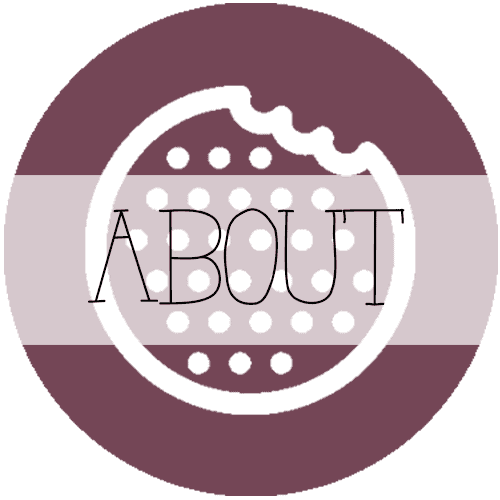 I am loving beets so much right now! 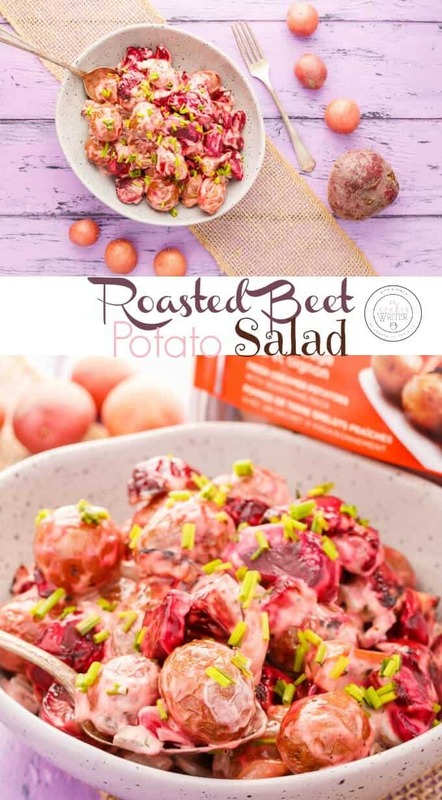 With my latest Little Potato Company recipe, I wanted to incorporate beets. 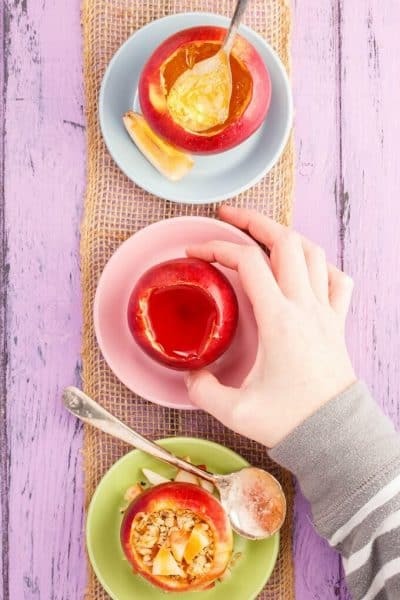 They are a wonderful nutritious ingredient to pair along with Creamer potatoes. 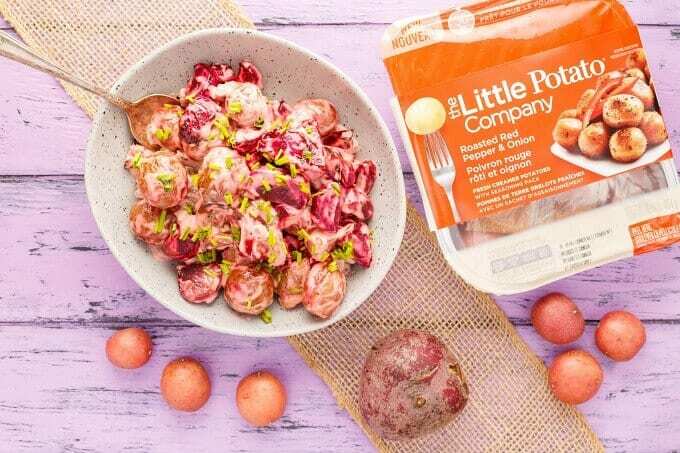 Plus, both beets and The Little Potato Company’s Creamer potatoes are so pretty, I just knew they would look lovely in any dish I served. 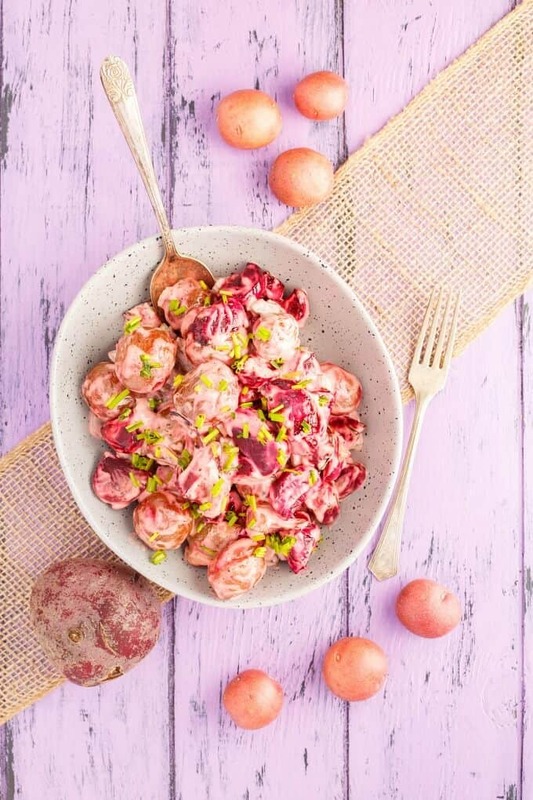 And this roasted beet potato salad is definitely stunning! 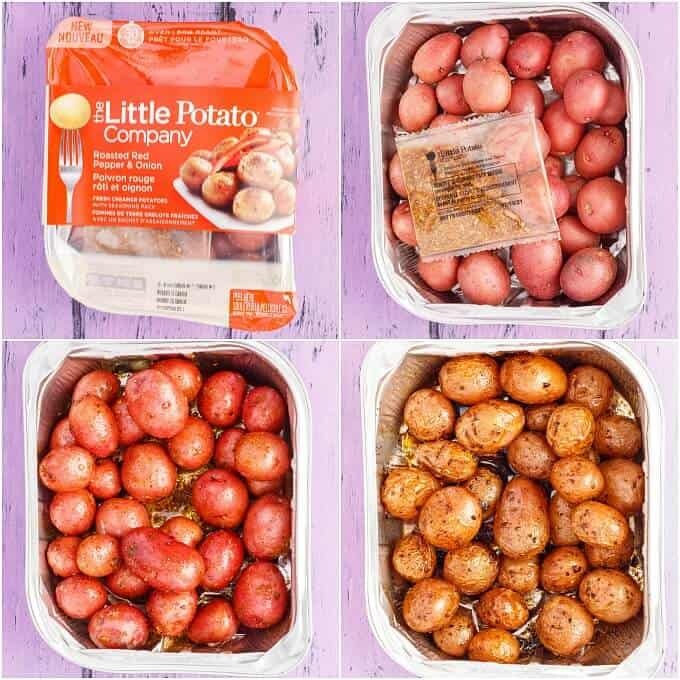 I have been highlighting The Little Potato Company’s Microwave Ready kits in the recent months. They are super convenient and easy to use. Well, their Oven | BBQ Ready Creamer potato kits are just as simple and convenient, with a little longer cook time. However, I tend to forgive the bit of added cook time as roasted anything is my favourite! Roasting is my beloved cooking method, especially when it comes to potatoes! 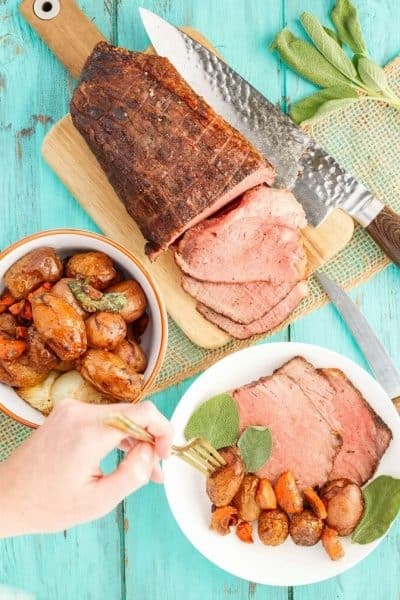 Today’s recipe uses the Roasted Red Pepper and Onion Oven Ready package. The bold flavours inside the seasoning package pair wonderfully in the potato salad. Since we are already using the oven to roast the potatoes, roasting the beets just makes sense. HOWEVER, pickled beets would be great here because I always add in a pickle (or two, or three,) for some tang. Everyone has their preferred potato salad recipe, so if you have some secret ingredient you usually throw into yours, by all means, do it here with mine! I am not a huge fan of hard-boiled eggs in my salad, so I tend to leave them out. My sister hates celery in her salad. 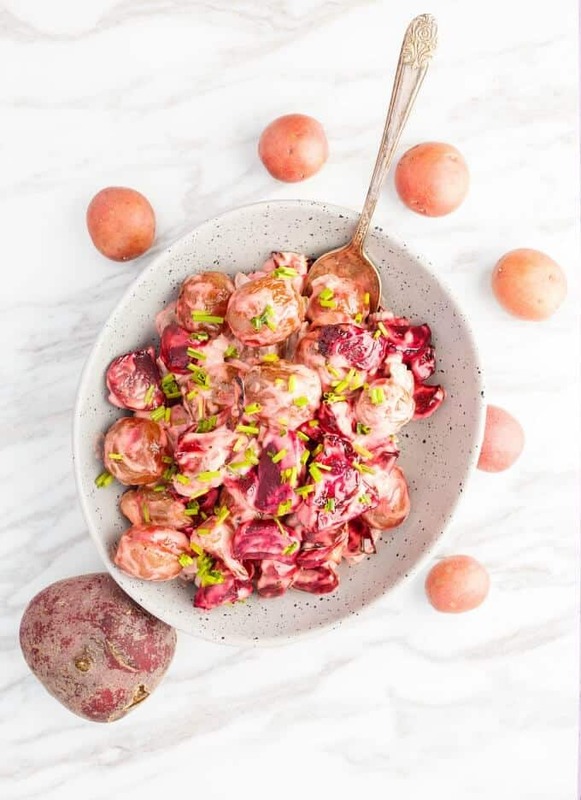 Anyway, pushing that aside, this roasted beet potato salad is the perfect side dish any day of the year, especially with Easter coming up! 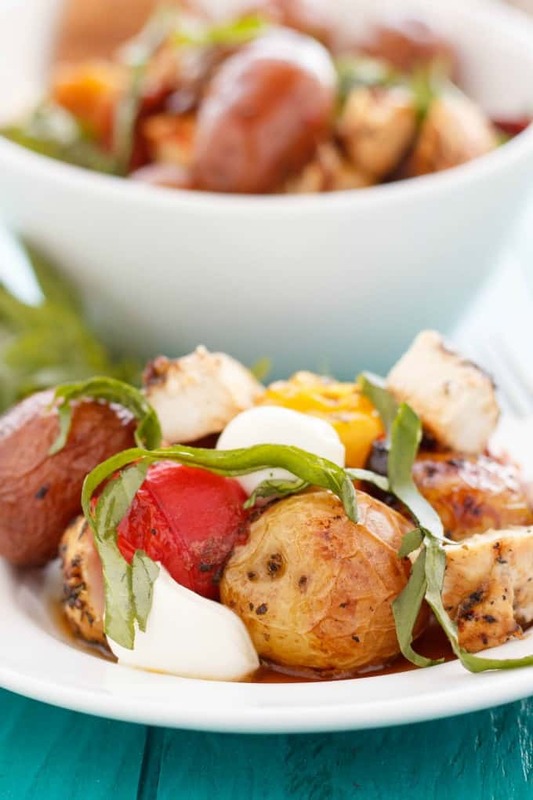 The Little potato packaging is so small that you can easily squeeze it into the oven beside your turkey if need be 🙂 You can also make this salad in advance, BUT, and there is a but. The beets will bleed their colour into the salad. I took my pictures rather soon after mixing, so it is a pale pink. However, when I went to eat it for dinner that night, it was no longer pink, but red! Red is my favourite colour so I am cool with this! 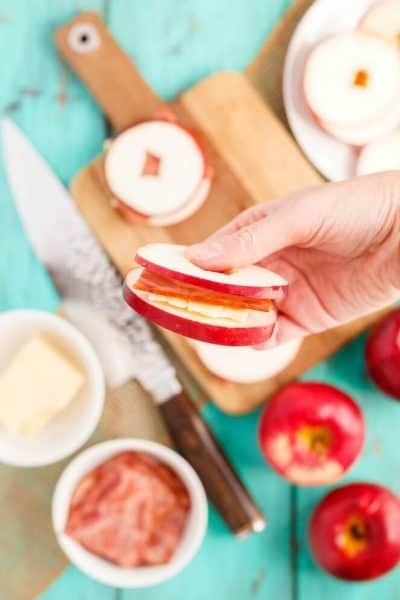 Such a fun twist from the classic recipe! 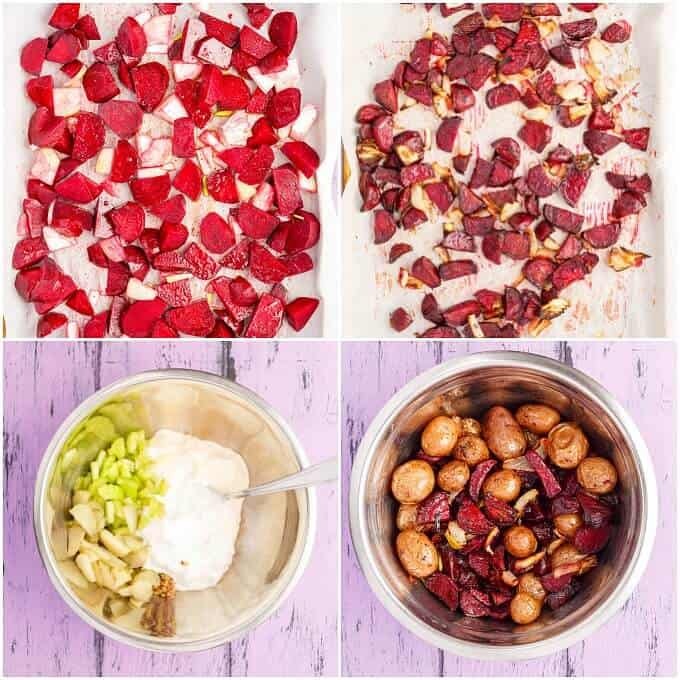 This roasted beet potato salad is vibrant, nutritious, and tasty! 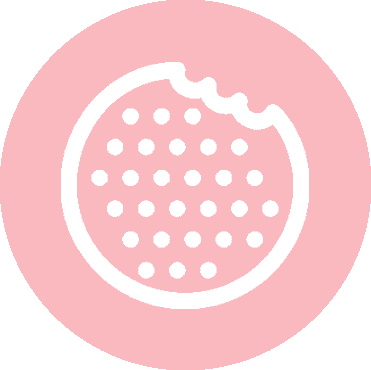 1 (1 lb / 454 g) package of The Little Potato Company's Roasted Red Pepper and Onion Oven OR 1 lb of your favourite varietal . Add beets, onions, 1 tbsp. olive oil, salt, pepper, and 1 tbsp. vinegar to baking sheet and toss until well combined. Add more oil if necessary. Prepare potatoes by removing plastic cover and seasoning package. Add 2 tbsp. olive oil and half the seasoning package. Toss until well combined. Place both trays into the oven and cook for 30 minutes, tossing halfway through. Potatoes may need an additional 10 minutes. Adding remaining seasoning if desired (I did!) If potatoes are large, halve or quarter them. Combine mayo, sour cream, mustard, 1 tbsp. vinegar, eggs, pickles, and celery. Mix well. 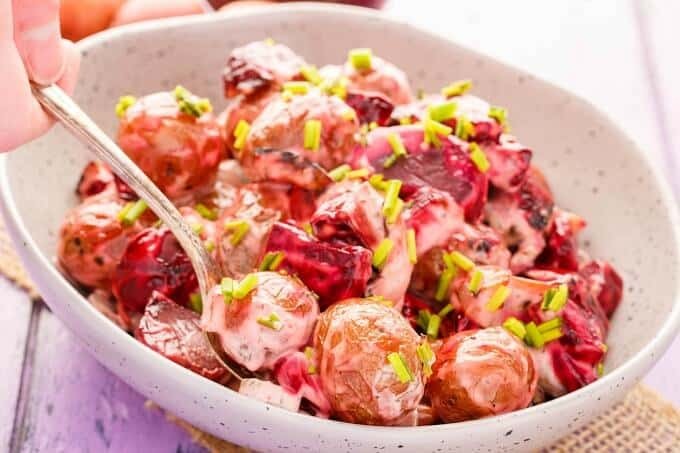 Add potatoes and beets to a large mixing bowl. Add sauce and toss really well. Serve warm, OR, cover and chill in refrigerator until ready to serve. Make sure to mix well again before serving as the beets colour will bleed into the sauce. Taste-test before serving to see if salt and pepper is required. Since we are using the seasoning package that comes in the kit, make sure to taste-test your salad before adding additional salt and pepper. If using another varietal of Creamer potato (with no seasoning package,) seasoning with salt, pepper, 1/2 tsp. garlic powder, and 1 tsp. paprika. I like a packed salad, so I actually use 2 lbs beets, no eggs, and additional celery and pickles! 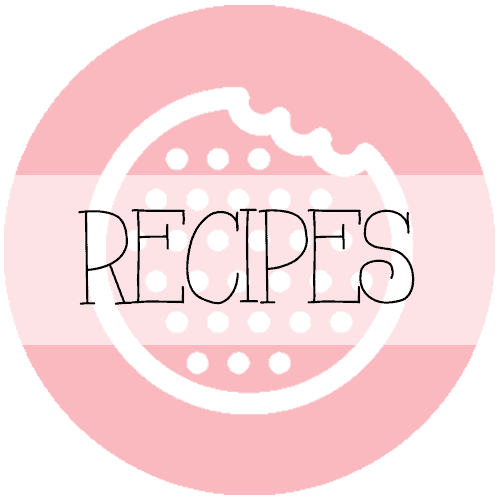 Recipe can be doubled!